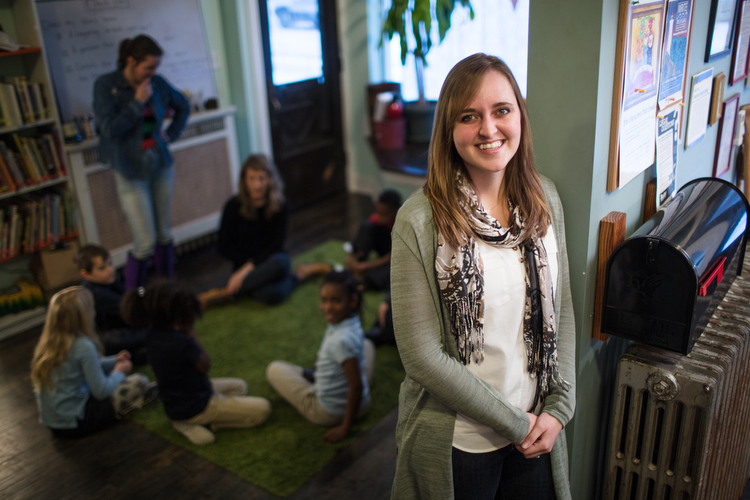 Leaders under 30 are making a big impact with youth in Grand Rapids. Check out of three of these inspirational leaders in the first of a two-part series. While the phrase "youth leader" might bring to mind a distinguished elder with years of wisdom to pass on, these three young leaders offer vital lessons stemming from powerful experiences that inform their daily lives, from opening a pop up shop to sky diving with strangers, and navigating the adoption process. The way in which they connect with youth is clearly strengthened by their youthful spirits and aspirations. 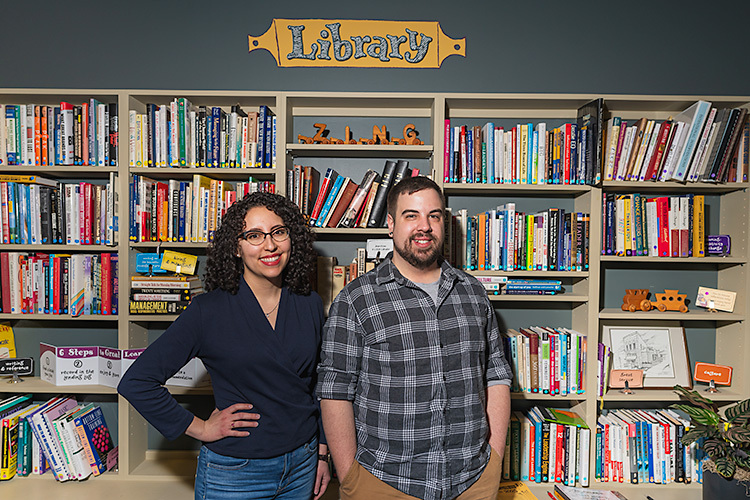 In this first of a two-part series, we’ll take a moment to explore the stories of three leaders under 30 working with youth in Grand Rapids. Through their personal connections to their work, these leaders are impacting homelessness, helping build valuable skills, and changing lives for the better. "Every day is a work day for me," Samuel Jones says with a laugh as he sits down with me on a blustery morning. He explains that he would be checking in at work later that day and also mentions his wife's birthday dinner plans later that night, which he wants to make special. 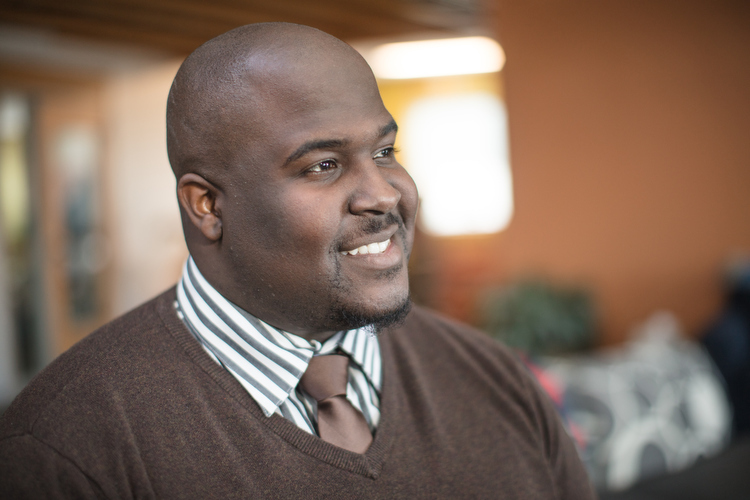 "Relationships take work," he says with a smile, which is a point he impresses upon the youth he works with as education and employment manager at HQ, a non profit dedicated to youth facing homelessness. Today's youth expect fast outcomes because of technology, he explains. And yet he believes that many youths may be "just a relationship away from having success in their lives." Jones, 29, will soon receive his master's degree in counseling (LLPC) from Cornerstone University, and will open a counseling office at the Masonic Temple in January. When asked if his focus will transition to providing counseling, he shakes his head. "In no way, shape, or form will I be boxed in." With a sparkle in his eye, he says he has more plans in the works, which may or may not be related to his work at HQ or the business he and his wife own, Pop Up Shop GR, which is dedicated to "helping entrepreneurs shine." Jones has a service-based mindset in his DNA. His father was a pastor who trained those involved in the prison system in the plumbing trade, while his grandparents established Brown and Hutcherson Events Center in Wyoming to provide African American youth with a place to play basketball and learn about the Bible. "My family is in the people business," he explains. "We help people connect to their heart and meet their goals." Responsible for responding to youth in crisis at HQ, Jones is practical and solution-focused. He recalls a situation when staff was called to support a young man who was homeless and left to care for his younger siblings after they were abandoned by their parents. "You feel the weight, seeing this young man with everything on [the] curb, who doesn't know what to do. But you meet this person and offer support. You ask, what is it that we can do right now, in this moment?" Jones shares. The HQ team worked together to help the young man secure a job and get his housing back. Jones says they still stay in touch, but "luckily, he doesn't need us anymore." First and foremost, Jones approaches his work with youth with the goal of empowerment. "Hope deferred makes a sick heart," he shares. He asks his clients struggling with life challenges to go back to who they wanted to be as children, in order to tap into their personal vision. "It's important that we live our full human potential—that we share whatever gifts we have, but we also have to navigate the community...which makes this exciting work," he says. Rather than getting overwhelmed by poverty and racism in Grand Rapids, Jones stresses personal responsibility. "We're all aware of the system. We need to work to navigate the system in different ways." To do so, he believes in working closely with youth—through listening to exactly what their barriers are, he learns how to best help them in that moment. But does Jones feel that this approach could spread throughout the city? "People in Grand Rapids want to give," he stresses. "The focus should be on how to engage with the giving community in order to help them understand how to give." While Erika VanDyke enjoyed volunteer work with children at the Helen Devos Children’s Hospital throughout high school, it wasn't until her senior year that she reached a turning point. 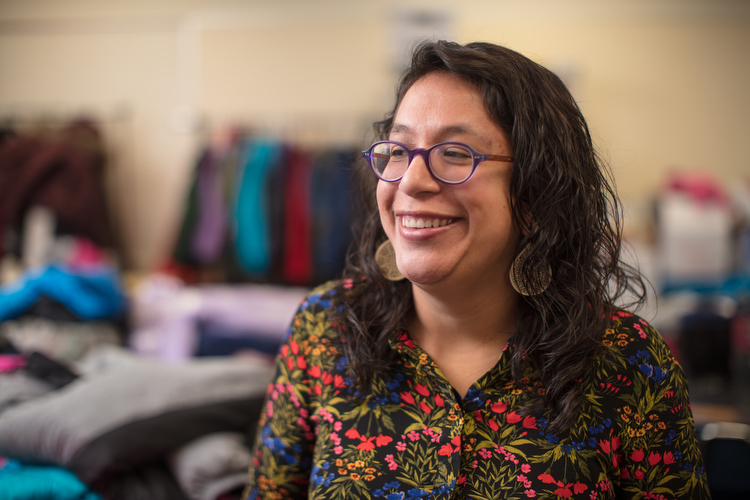 "I was finally among people who looked like me," she explains about her experience volunteering at the Cook Library Center, which serves the Latin American youth and families living in the Grandville Avenue community. VanDyke, now 28, was born in Colombia and was adopted by a Grand Rapids family as an infant. She grew up in the Cascade area and attended a small school associated with her family's church. "I grew up with a lot of economic security," she explains. "In Grand Rapids, some of us never have to leave that bubble of privilege. Growing up, I didn't have many opportunities to be around people of color." She was attracted to the tight-knit community of Grandville Avenue and the "complicated life stories" that resonated with her own experiences. "I knew I wanted to keep doing that kind of work," she says. After receiving her master's degree from Grand Valley State University in community psychology, VanDyke worked with FordCorps in Grand Rapids as well as with Kids' Food Basket. In these experiences, she enjoyed networking with people all over the city and utilizing her master's, which focused on community work that "engages the strengths of residents rather than parachuting in to fix problems." She then faced a junction in her professional life and briefly considered doctoral work, but realized that such a path wouldn't allow her to do the service she wanted to do. Instead, she decided to spend eight months traveling. Since speaking Spanish would be crucial to her work in Grand Rapids, she studied in Colombia, Guatemala, and Mexico. The culmination of her service and education is her position as coordinator at West Elementary in the Wyoming Public Schools for Kent School Services Network (KSSN), where she has served since 2016. 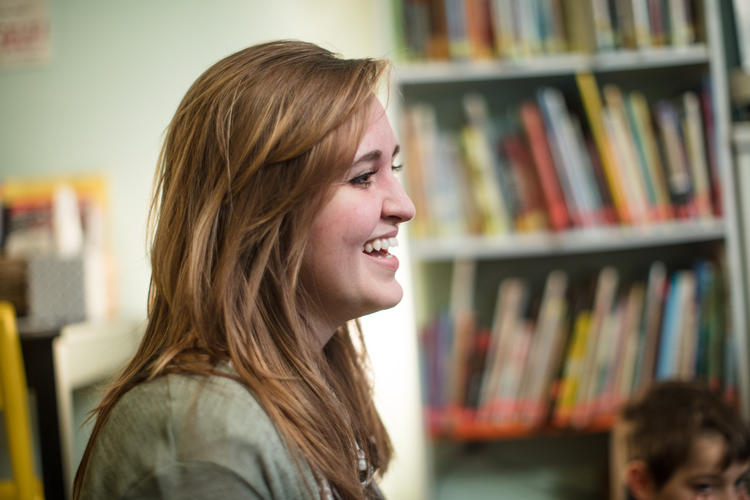 She is greatly inspired by the community school model that the organization follows, bringing in social services and mental health services into the school building to support students and families. VanDyke points out that the support services that KSSN provides are especially important to students of color, as they often do not have have many teachers of color. KSSN coordinators can provide a cultural bridge for students and families relating to school staff on social, emotional, and academic levels. "We can't be what we can't see," VanDyke shares, when asked about her vision of a future for youth in Grand Rapids. She believes that until children grow up seeing more people of color making important decisions for the city, there can not be a significant shift in inequity. She also strongly believes in the need for people of color to know their history, which she argues will greatly empower kids. Overall, she advocates an understanding of complex intersections: that improving education for children cannot be addressed without also tackling issues such as living wages or affordable housing and healthcare. In the face of such challenges, what gives her hope? "I feel inspired by collaboration, and by the passion and drive I see in the families I serve and in my colleagues every single day. I see parents showing up at their schools to advocate for their kids. I see organizations like the Latino Community Coalition organizing candidate forums to hold our public officials accountable for the way they serve our Latino community." "Of course, it can't only be people of color," she says. "We need allies to show up, and to follow the lead of the communities most affected by racism and economic inequality here in Grand Rapids." When Kailie West signed up to skydive at age 18 and her friends and family were too scared to join her, she went any way, jumping from a plane with complete strangers. "I always seek to get out of my comfort zone, because I have realized that I never regret it," she says. When West started as a volunteer at Creative Youth Center (CYC) several years ago, she approached the new situation with a bit of trepidation. Since the Center is dedicated to offering free writing support for youth in Grand Rapids Public Schools, she wasn't sure she was qualified. "I felt as if I needed to be an expert and know everything about writing. But I realized that first and foremost, the kids needed someone who cares." "If your leaf could have anything, what would it wish for?" West asked. One child responded: "My leaf would ask for a hot tub!" "What would the leaf do in the hot tub?" West asked. The child responded: "The leaf would eat cake!" This and other work will later be published in an annual anthology, The Book of Explosions, and shared at a spring event, where students read their work to a live audience. West wants to spread the word about the event and the anthology, as she treasures the looks on the children's faces when audience members come to have their books signed by the authors. They are amazed to be considered real writers, she explains, and this is a powerful moment that they might not have had the opportunity to experience without the CYC. West, now 23, recently graduated with a degree in education and community leadership from Aquinas College and is now a member of the board of the Creative Youth Center as well as Community Initiative Administrative Assistant at the Doug and Maria Devos Foundation. 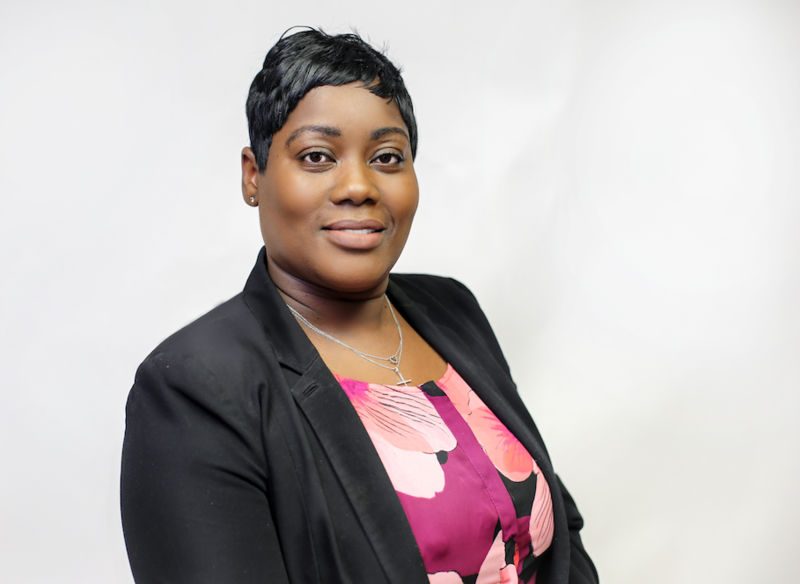 At the Devos Foundation, she focuses on Gathering of Hope, which provides Black and Hispanic churches in Grand Rapids with funding as well as non denominational, faith-based curriculum centered on strengthening families. 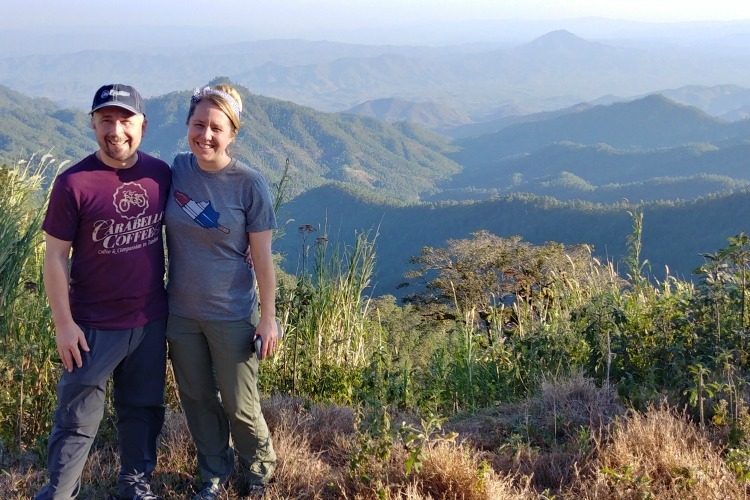 "I hope that amidst all of the day-to-day tasks, I have been able to do what is most important to me, and that is to make others feel important," she shares. West has deep roots in youth work and enjoys the connection she has made with youth and families through her past work with the Boys and Girls Club in addition to Kentwood Community Church, where she has served as small group leader and worship leader in the children's ministry for 10 years. "I started when I was just a kid!" she says. "I hope that what I have been able to do is leave a generational impact. The kids that were in third grade when I started are now graduating from high school! My goal is that I have been someone who has influenced them with consistent leadership and a servant's heart." 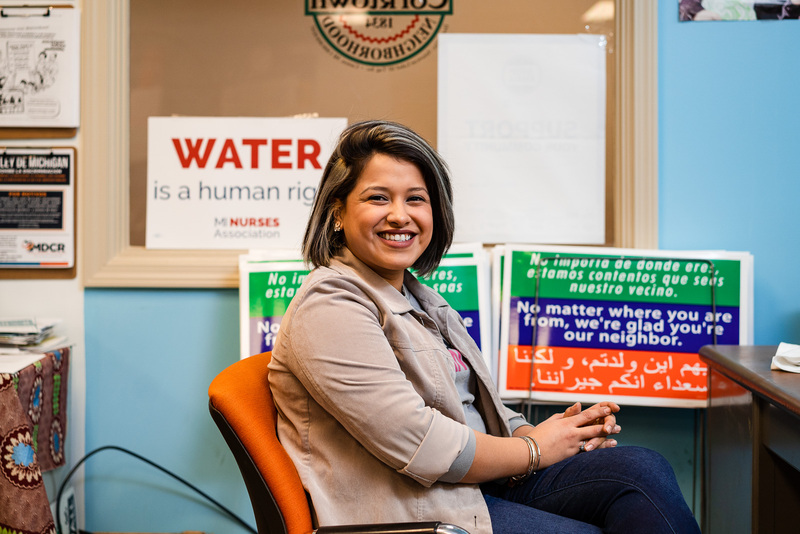 While she believes Grand Rapids is fortunate to be rich in philanthropic organizations and nonprofits, she sees much more work to be done, especially in terms of poverty and segregation. "More and more, I see the impact of giving all residents a chance to speak...but then we have to do something. The city is full of great people doing things, but I believe we are missing a connection to action, where we all come together to do big things." While all three youth leaders agree that there is much more to be done to improve the quality of life for youth in Grand Rapids, their approaches differ in interesting ways: While Samuel Jones works directly with the hearts and minds of youth in crisis and aims for personal empowerment, Kailie West's work with the DeVos Foundation and CYC has pushed her to question how organizations can work more effectively together to effect larger change. 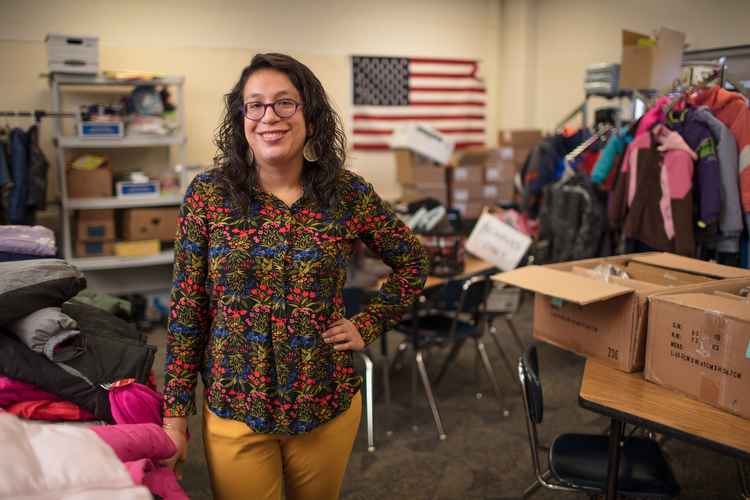 Systemic change needed in the form of quality education, livable wages and affordable housing is Erika VanDyke's focus, though she also advocates for individual students on a daily basis in her professional work. These perspectives are invaluable pieces in a puzzle—and it seems clear that all of the visions should inform the future of youth in Grand Rapids.